atomic numbers. The horizontal rows are called periods. All elements in a period have the same number of shells of electrons. Each element across the row has an increment of one outer electron from left to right. The vertical columns are called groups. Elements within the same group all have the same number of electrons in their outer shell. They therefore tend to have similar chemical properties. 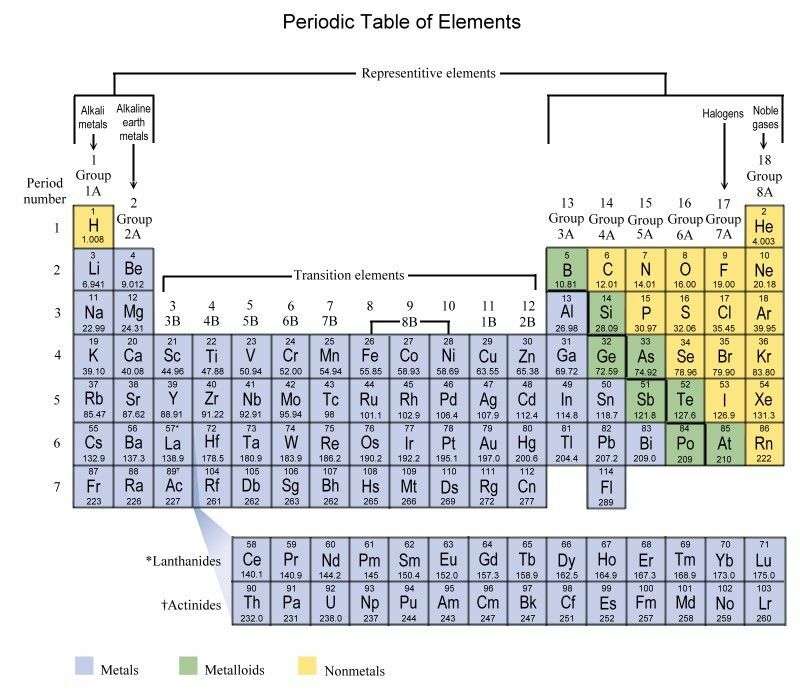 Elements in the table can be classified as metals, non-metals, or metalloids. 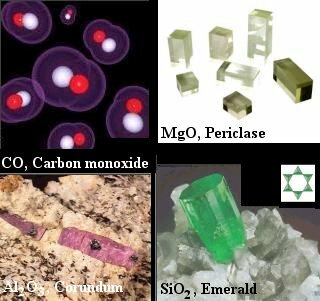 Metals have certain properties, which distinguish them from non-metals. These include generally high melting points, a shiny appearance, and good malleability (flatten into sheets), ductility (drawn into wires) and conductivity of electricity and heat. Some elements have both metallic and non-metallic properties. They are known as metalloids. the carbon atom starts with zero valence and becomes +4 in CO2; the valence of each oxygen atom is -2, so that the net valence of CO2 is zero - a requirement for the chemical reaction to proceed. The increase in valence number from 0 to +4 (for the carbon atom in CO2) is referred to as oxidation reaction. 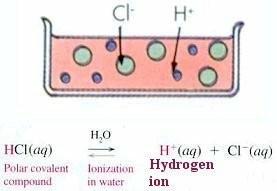 number of electrons to form a complete shell is two for hydrogen, and eight for carbon and oxygen. 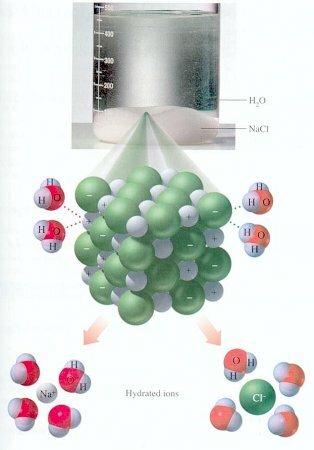 Thus oxygen tends to accept two more electrons and has a higher value for electronegativity. Further detail can be found in the topic on Atom. 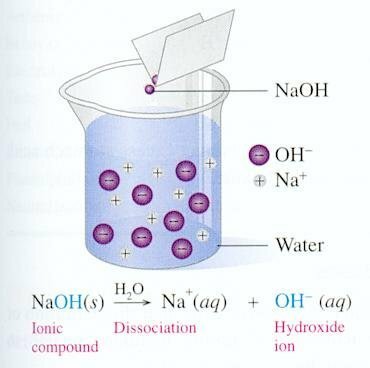 Acids Dissolve in water and produce H+. Bases Accept acids' H+ such as NaOH and MgO. Salts Ionic compounds consist of metal and nonmetal ions. Many of the most commonly used metals, such as iron and silver, belong to a group called transition metals, found in the middle of the periodic table. They have more than one valence. The compounds that they form are often brightly coloured. Many metals react with water, with dilute acids and with the oxygen in the air. They can be listed in order of how reactive they are. 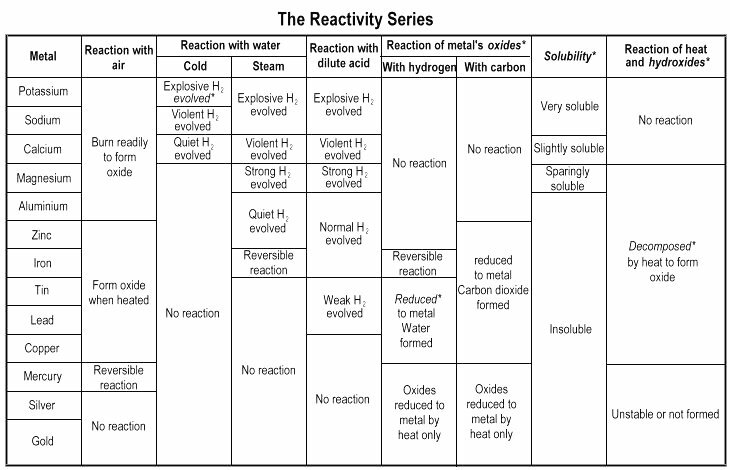 This is known as the reactivity series and is shown in Figure 12-28 with the most reactive on top and the least reactive on the bottom. Chemical reactions can also be classified by the process involved in the reaction such as combustion, decompostition, photoreduction, etc. There is a very good website in "Chemistry Outreach", where it offers plenty of demonstrations for the various types of process in chemical reactions. For covalent molecules, element to the left and below in the periodic table (see Figure 12-19) is named first. For example, in HCl hydrogen is named first, and in BrCl bromine is named first. For ionic molecules, cation (positively charged element) is named first. For covalent molecules, the other element is named with "-ide" ending. For example, HCl is named hydrogen chloride, and BrCl is named bromine chloride. For ionic molecules, anion (negatively charged element) is ended with "-ide". When two non-metals form more than one compound from each other, Greek prefixes are used. (Note: mono- is not affixed to first element of compound if there is only one atom per molecule, e.g., CO2 is carbon dioxide, not monocarbon dioxide). For example, the prefix for one=mono-, two=di-, three=tri-, four=tetra-, five=penta-, six=hexa-, seven=hepta-, eight=octa-, nine=nona-, and ten=deca-. Therefore, the names for the following compounds are: NO - nitrogen monoxide, N2O - dinitrogen monooxide, NO2 - nitrogen dioxide, N2O3 - dinitrogen trioxide, N2O4 - dinitrogen tetroxide, N2O5 - dinitrogen pentoxide, PCl5 - phosphorus pentachloride, P2O5 - diphosphorus pentoxide, SF6 - sulfur hexafluoride, and Cl2O7 - dichlorine heptoxide.